Taylor Ewert earned a fourth place finish with her 17:20.10 clocking. 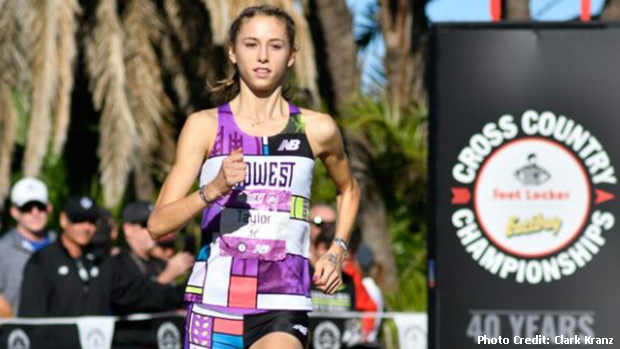 Taylor Ewert concluded her cross country season in impressive fashion at Saturday's Foot Locker National Championship, which took place at San Diego's storied Balboa Park course. The junior class athlete from Beavercreek went 17:20.10 to finish fourth at her second national competition in as many weeks. The previous weekend Ewert captured third at NXN with her 17:06.70 result. Along with the runner-up, Katelynne Hart (IL) and third place finisher, Abby Vanderkooi (MI), Ewert guided the Midwest squad to the team title with 20 points. Following the race, MileSplit's Bryan Deibel caught up with Taylor to discuss her experience at FLN as well as how her season went overall.